Carlisle is a small city in the north of England. The population of the city itself is 75,000. This rises to about 100,000 when the surrounding area is taken into account. Rich in history, the city is famous for its proximity to the Scottish border and Hadrian’s wall. 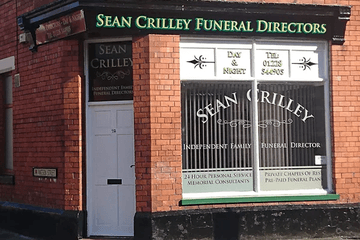 There are eight funeral directors in Carlisle, with three cemeteries, the main being Carlisle Cemetery, which is also home to the crematorium. A woodland style burial is an option, and the send off for your loved one can take place in one of the many places of worship in the city, or even another venue such as pub or village hall. Funeral directors in Carlisle can help you to give your loved one the send off they always wanted. There are eight funeral directors registered in the city and if you should choose a church for the funeral, there are many available, including the medieval Anglican Cathedral, although you will likely be encouraged to contact your local church first. Although predominantly Christian, there are other places of worship such as a Buddhist centre and a small mosque. However, specialist services may be limited and travel to larger population centres such as Newcastle or Manchester may be necessary for these. Search for local Carlisle funeral directors now to see funeral homes near you. You can filter search results by best rated, most reviewed or nearest to you. Click on a funeral director’s listing to see their profile page, where you can read independent customer reviews, search for recent obituaries, and learn more about the funeral services they can offer to you.